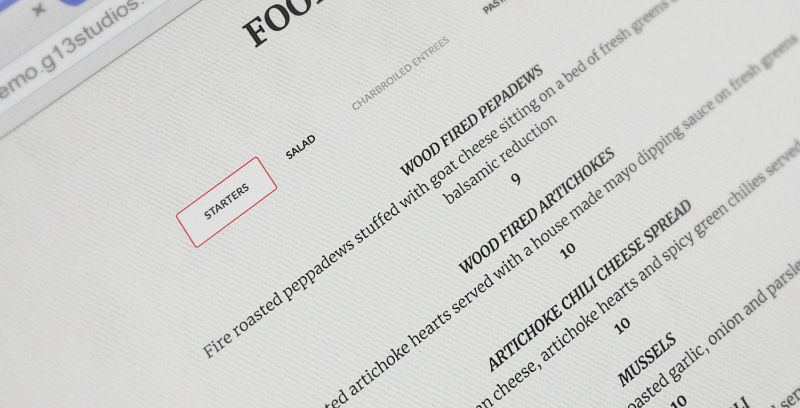 We worked with Waubonsie to create a sleek, stylish single-page design that captured the brand and style of their high-class eats with small-city vibe. Custom built from head to toe. 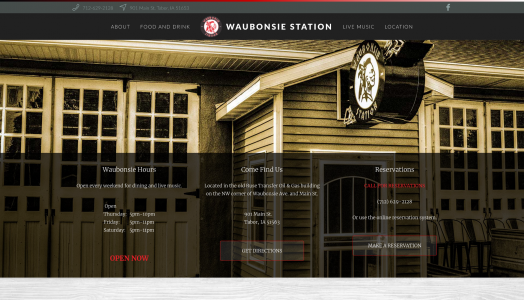 We integrated online reservations through Waubonsie Station's website by connecting directly to their POS. 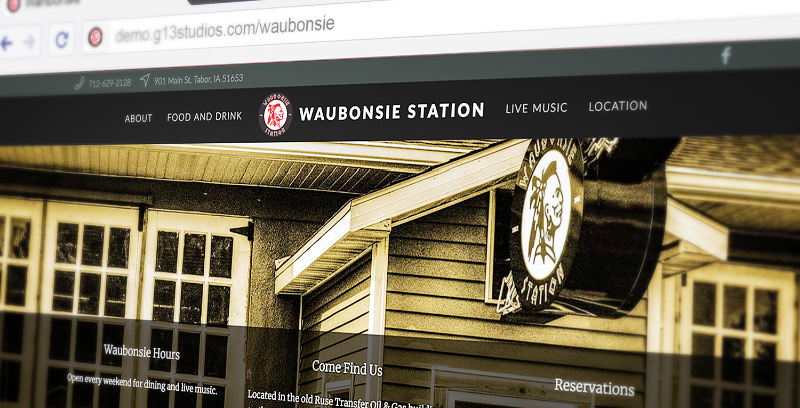 We provided photography services for Waubonsie Station capturing the essence of the experience, completing the unique webpage design. We created custom code to automatically display whether Waubonsie Station is open or closed for their patrons to easily see. This can be updated easily on their administration panel and the widget automatically adjusts. We created a custom, filterable menu to be able to display all of Waubonsie's creations in a single space without the page dragging on. Select a category and drool! We created a custom widget that automatically pulls events from Facebook, allowing the Waubonsie Team to simply add their events to Facebook and within seconds they automatically appear on the website.